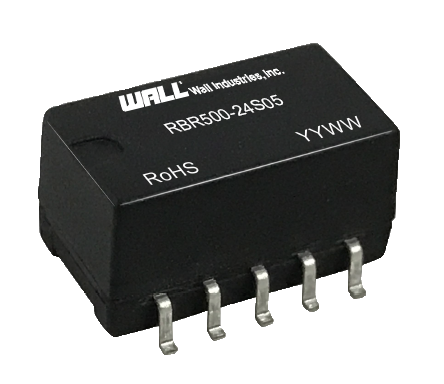 The RBR500 series of DC/DC converters offers 500mA output current in an ultra-compact 0.6” x 0.45” x 0.325” SMD package. This series consists of non-isolated and regulated single outputs with wide input voltage. Each model in this series features high efficiency, short circuit protection, and RoHS compliance. This series also has EN62368 standard approval. 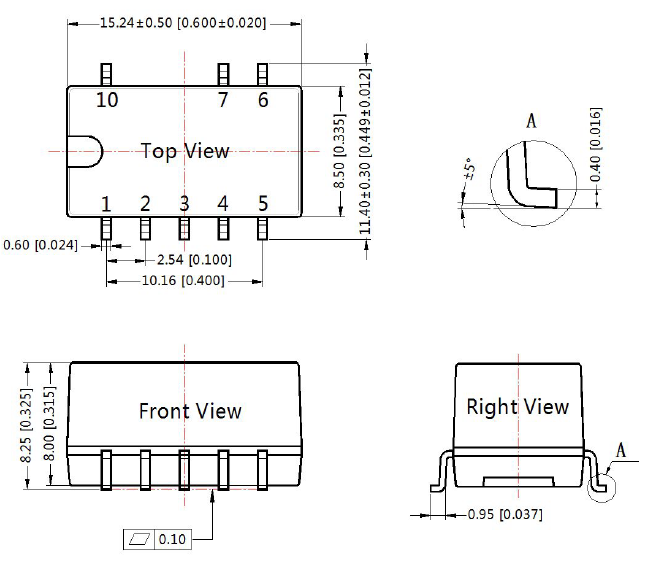 Voltage Accuracy: 1.5V, 1.8V, 2.5V, & 3.3V Output Models: ±4% Max. Others: ±3% Max. Notes: 1. For input voltage higher than 30VDC, a 220µF/50V input capacitor is required. 2. Ripple and noise tested with “parallel cable” method. With load lower than 20%, the maximum ripple and noise of 1.5V, 1.8V, 2.5V, & 3.3V output models will be 100mVp-p. With load lower than 10%, 5V, 6.5V, 9V, 12V, & 15V output models will be 150mVp-p.
3. Our products shall be classified according to ISO 14001 and related environmental laws and regulations and should be handled by qualified units.